A sleek palladium 950 ring featuring a modern, matte finish and a single diamond centrepiece. Distinctive simplicity for all occasions. Jewellery for the man with style. 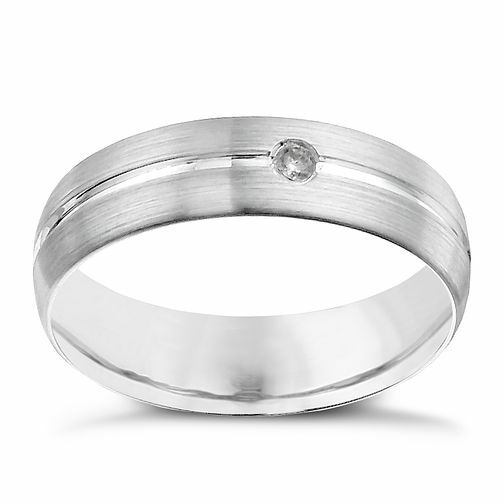 Palladium 950 6mm matte diamond ring is rated 5.0 out of 5 by 1.